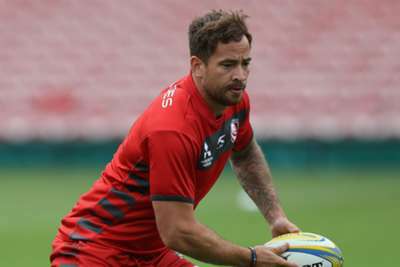 England fly-half Danny Cipriani has been arrested following an incident at a Jersey nightclub in the early hours of Wednesday morning. Police said Cipriani has been charged with common assault, larceny, assault on police, resisting arrest and being disorderly on licensed premises. Cipriani, who has joined Gloucester from Wasps ahead of next season, has been remanded in custody until appearing before Jersey Magistrates Court on Thursday. A statement from Gloucester read: "Gloucester Rugby are aware of an incident involving Danny Cipriani in the early hours of Wednesday morning following an incident at a St Helier nightclub. "He was arrested and has since been charged by police. He will appear at Jersey Magistrates Court at 10am tomorrow [Thursday] morning. "The club will be issuing no further comment at this time but will make a further announcement in due course." Jersey police's statement said: "This afternoon, 30-year-old Daniel Cipriani was charged with Common Assault, Larceny, Assault on Police, Resisting Arrest and Disorderly on Licenced Premises. "He has been remanded in custody until his court appearance at the Magistrates Court at 10:00 tomorrow. "Cipriani was arrested in the early hours of this morning following an incident in Mulcaster St in St Helier." 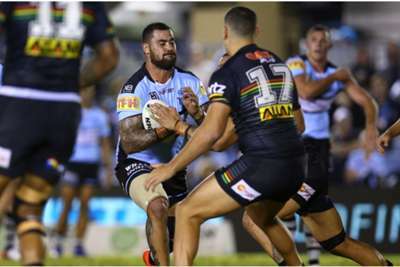 The former Sale Sharks star returned to the England fold in June, starting the third Test against South Africa, having previously been overlooked for selection for three years. Cipriani has 16 caps for his country, with only five of those as part of the starting XV.